The following was researched by Redlynch and District Local History Society. The Brown family were well known in Redlynch, as John Brown was the Head of Redlynch Primary School. Stan Crouch (deceased) a well-known villager and a member of our History Society, was his grandson. Alfred was born in Knighton-under-Lee in Worcester in 1877, to John and Amelia Brown, who were both teachers. Alfred was one of thirteen children and the 1911 census shows him as a house painter living with his parents at School House in Redlynch. His father was the Headmaster of Redlynch Primary School for more than thirty years, until his death in 1914 and his mother was an Assistant Teacher. 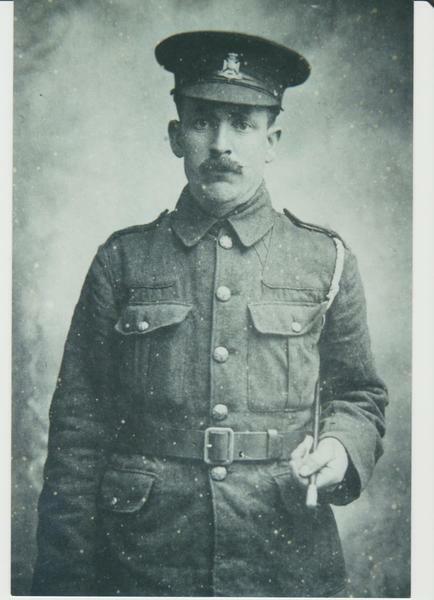 Alfred was a volunteer and joined the 7th (Service) Battalion of the Wiltshire Regiment. The battalion spent a year in England before arriving in France in September 1915. His service number was 12226 and he fought in France and Salonika. He was injured and subsequently died, aged 39 on 27 April 1917 whilst attached to ‘A’ Company. Alfred is buried at Sarigol Military Cemetery, Greece. At the time of his death his parents were living in Percy Cottage, Redlynch. He is remembered on the Redlynch War Memorial in Quavey Road. Alfred’s brother, Charles Percy also served in the war. He was born in Worcester in 1879. He may possibly have been a regular soldier with the 9th Lancers (Queen’s Royal and then the Machine Gun Corps). He first entered France on 6th October 1914. The Western Gazette reported on 5th October 1917 that Private C.P. Brown of the Lancers was home on leave and on 8th November1918 he was in hospital in Southampton. He died in 1964 and is buried in Surrey. Three further brothers, Privates Lawrence, Harry Cyril and E. Brown also served and survived. They attended the memorial service for Alfred Brown at St Mary’s Church, in 1915. Alfred’s brother-in-law, Gunner S.G.Kimber and his nephews, Signaller A.J.Wilkins and Corporal E. Crouch were also engaged in the War. This is another example of a family who had many members away from home, serving in the forces.